Without proper inventory management, a warehouse can be a place where products are loose, disorganized, and take up a lot of space. By properly organizing the warehouse through the use of rack labeling, employees and managers will have an easier time not only finding products but managing their shipping and receiving as well. Here are some reasons why warehouse rack-labeling systems are crucial to the success of warehouse management. Product manufacturers’ labels often fail to provide workers with enough information about the contents of a package when it needs to be stored within a warehousing facility. This makes organizing and tracking products extremely difficult and makes navigating products a challenge for new and experienced workers alike. By creating custom warehouse labels, employees can tag and manage the inventory in whatever way is most convenient for them. Proper labeling can help workers easily update the product inventory by scanning labels into the database. Many mistakes are eliminated through the use of warehouse labels. 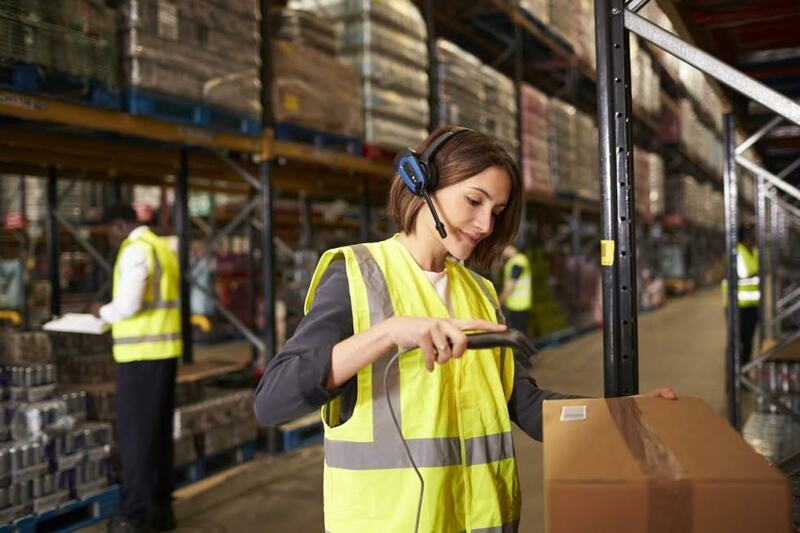 Mistakes such as shipping the incorrect product to customers or mishandling items that require fragile care can strongly reduce warehouse efficiency. Warehouse labels that are incorporated with data, such as expiration dates or imprints about security or caution, can enhance organization and productivity and allow for safe handling of products. Warehousing rack labels virtually eliminate errors that often result from manual inventory tracking and record keeping processes. It also improved the speed that employees can locate the right shelves and items to prepare shipments and restock products. Labels also include accurate data, thus eliminating errors within the supply chain that cause delays, such as backorders or incorrect shipments. The supply chain can run smoother and more efficiently, allowing the business to make more profits. Warehouse staff with rack labels will have an easier time locating products and thus avoid worker-related errors. If products are restocked in the wrong sections or if there are areas where products are unorganized, it can make the entire supply chain process slower and more frustrating. Proper labeling minimizes the confusion associated with where products are located to ship to customers and where newly manufactured products need to be stocked. Many warehouse labels ae easy to install, which makes the labeling process less time-consuming. They are also easily readable and simple to replace if they suffer any damage. There are many different types of warehouse labels, including: long-range, retro-reflective barcode labels; multi-level, warehouse rack labels; warehouse aisle signs; and floor labels. These are only a few examples of labels that can provide solutions to the unique needs of manufacturing and warehousing companies. This needs-based solution allows workers to have a customized solution to boost productivity and profits. Making the time to change and improve your warehouse inventory management when your warehouse is hectic might seem impossible, but the team at Cannon Hill Logistics has solutions for you. Our services include physical inventory counts, quality control and inspection of goods, returns processing, promotional pricing, custom inventory reports, and more. We specialize in outsourced wholesale and retail product distribution, fulfillment, and logistic services based out of Frederick, MD. For over 30 years we have worked hard to make sure our customers are getting the most out of their operations and that their processes are streamlined and effective. If you need advice as to what inventory management solution is best for you or if you want to work with us, feel free to contact us at 1-(800) 822-4747.